The wedding party will be a great finale to your wedding day, the time when your guests will relax and just enjoy themselves. After a long and beautiful day, filled with emotion, you and your quests deserve to relax and celebrate the greatest moment of your life. A selected live band or DJ will create a great atmosphere for dancing. In addition, if they include some fun games no one will be left sitting. In any case, we should choose the preferred music together in advance to best suit your taste and vision. Cutting your wedding cake in front of all your friends and family might be the last official part of your wedding day, but still very important. Again, it is a very romantic and emotional moment when you cut the very first slice as husband and wife. It is common when choosing a wedding cake to match it up with your wedding colour theme or wedding style. 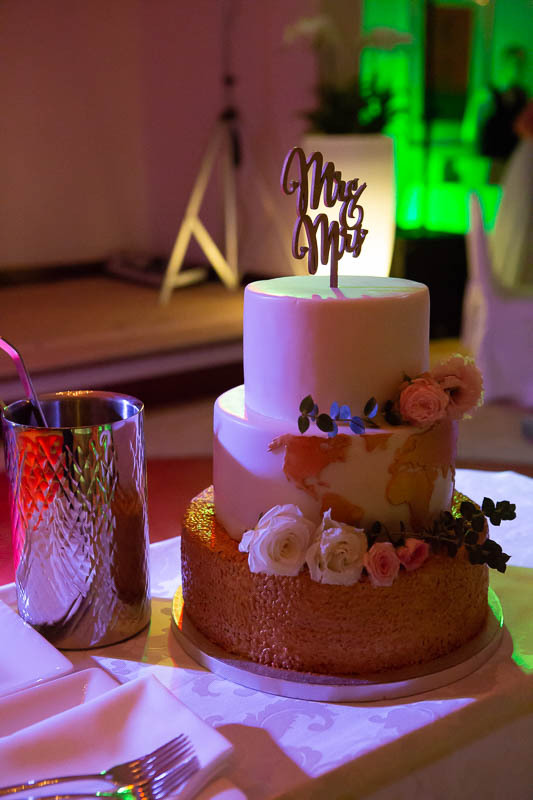 Traditionally the wedding cake was cut up during the reception and then sent home with guests in cake boxes or bags at the end of the evening, but nowadays the wedding cake is served throughout the evening reception buffet for the guests to enjoy.